Add your latest personalized photo canvas print to an existing display or make a huge single photo canvas print the center of focus in your interior. 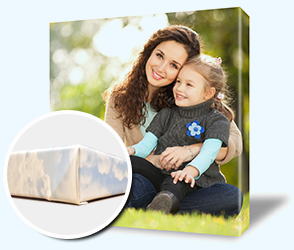 The Canvas Prints offers you the best of your photo canvases. Choose the size you want and order your personal canvas and personalized single photo on canvas today. With an interesting split of single photo canvas across multiple canvases, you can create eye-catching walls for your home. Large walls can be covered beautifully with photo canvas splits of various sizes. 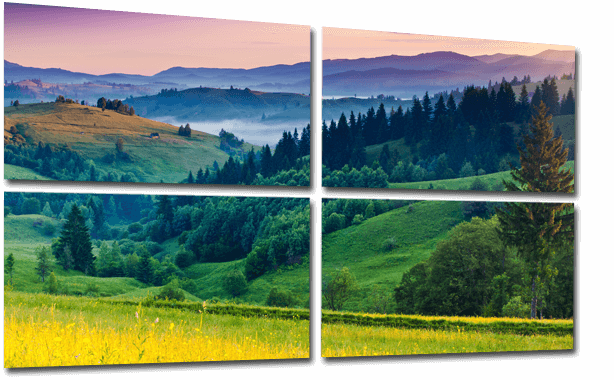 Split your digital picture across various canvas prints now to create the ultimate decor statement. 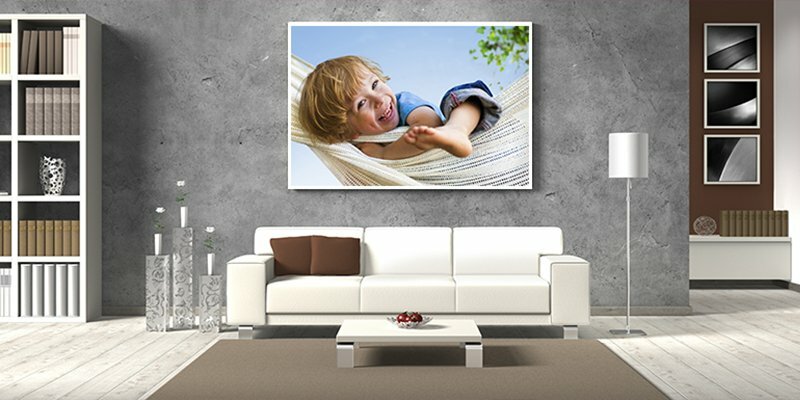 Create interesting wall display packages with your personal photos and images on canvases of different sizes. 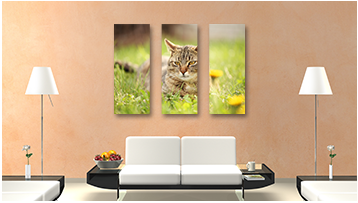 You can choose images of your choice, select sizes as you like and order your personalized wall canvas display. 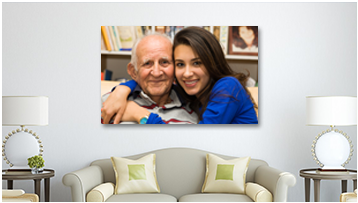 You can adorn your wall with images of your family, friends, and pets; it's your call! Do you have a favourite photo that you can’t stop looking at? Does your house have a few large walls that look bare and sordid? Then a larger than life canvas with your most favourite moment printed on it would be just perfect for you! Give life to your walls by putting up a beautiful images in the shape of a design canvas that will make you and your loved ones feel good. Remember, a photo is worth a thousand words! Humans have a deep connection with photos, which is why hanging them up on your walls as prints is never a bad idea. 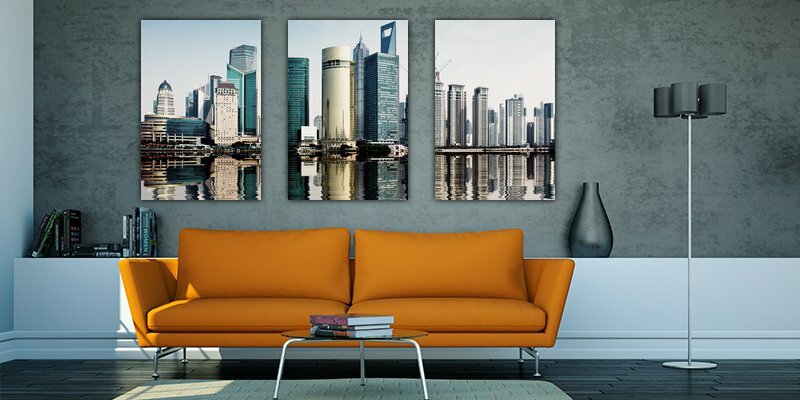 Now adjusting a large photo aesthetically on your wall is possible with the split of a single photo across multiple canvases; you can create many variations of the split canvas print. Variation is the best source to get the best and unique style! Choose wisely and give your wall a personal colourful look with our great valuable canvas printing and wrapping packages. Each package offers a unique printing style with colour wrap, mirror wrap or gallery wrap, the choice is yours! You need to know that we will design your canvases to reflect your personal style and choice. The selection will be yours so the creation would be belonging to you. Do you have many favourite images and cannot choose between them? We have just the solution for you! Why pick one when you can have them all incorporated into a single wall canvas. Our multi-canvas wall design allows you to turn your wall into a gallery of your most cherished memories with the best quality in the UK. You can also choose the sequence, size and numeric design of those photos. It will be your own piece of art – with your favourite photos as a medium. Our wall canvases are amazing at cheap rates! We offer you a canvas that is your personalized one! What is special about canvases from The Canvas Prints? The Canvas Prints has maintained a quality and a standard in the UK that is second to none by offering its customers with the highest quality canvas prints in any style and design that they wish to get. For us, our customers are the first priority and we make sure that all our customers’ demands are met in a way that they return to us for ordering more canvases for their homes. The Canvas Prints offers its customers with the lowest prices in 2018, that starts from £6.99 (Based on 8”x8” (20cmx20cm). The prices are reasonable, allowing you to decorate your home without having to splurge all your money on buying a canvas. The canvases are of the best quality that comes in a deal that is second to none. With a premium quality of 320 gsm canvas and a 100% cotton; there is a higher density of cotton in making these canvas prints to ensure that the quality is maintained and your wall art is one of its kind. The canvases are built with special care to make sure that you buy only the best. 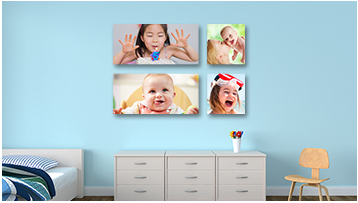 It is easy to build your own canvases with our free image editing options. It gives you a view of what your canvas will look like and helps in choosing what you need. There is a large variety of sizes to choose from along with a wide range of colours in colour wrap and styles in style wraps. The basic application of the design canvas is what we help you with to make sure your wall décor is one of the best! Offering you the free image editing service to edit your image and add custom effects, text, or any background of your choice. This helps you achieve the best photos for your canvases. It is all for free for anyone who visits our website. Customers can now enhance their images as per their requirement and have the best quality images. The Canvas Prints, we have Enhancement Experts and Colour Experts. They carry out the process of improving every image before printing to get the best possible printing quality and print colours. We inform our customers in case the image quality is not very good and help them choose a better quality image. We use only the expensive premium quality pine frames made in the UK to create your canvas. They have 30 mm depth and do not bend or break easily. Good quality of frames ensures that the canvas with is long-lasting and durable. 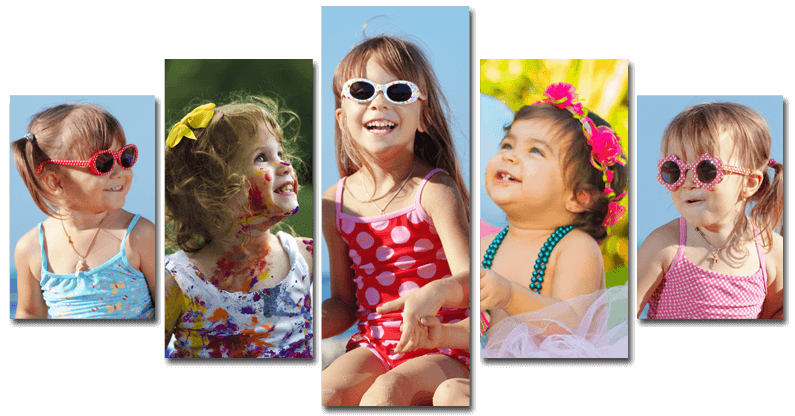 We offer you with our split and display canvas packages which are not offered anywhere else. These deals will make your walls brighten up with a gallery of images that mean the world to you. You can also mix and match the whole idea to create looks that are distinct and personalized. One of the oldest forms of art that humans made were those on walls. Even today, displaying your talents and preferences printed on a canvas or a photo canvas is considered a form of art. Photo canvas prints, in 2018 are considered to be the prime of décor elegance. Canvases slowly replaced wood panels and wall paintings. This may be because the canvas allows for easy portability and are lightweight and can be rolled. Canvases are also less prone to cracking and breaking; a problem that occurs quite commonly with wood paneling. Today, as printing technology has advanced quite rapidly, home decorators and interior designers are turning to digitally printing their photo canvas art. It also allows a higher degree of freedom to personalize the canvas with different styles of canvas wrapping. Today, even if you are horrible at arts, prints technology has made it easier for you to create cheap canvas prints. Moreover, these high-quality prints mean that photos from the special moments in your life can be printed on a photo canvas and hung on your wall. This offers you a lovely and meaningful way to decorate your home with the essence of you. You can express your ideas, on your wall canvas. What photos can turn into a printed canvas? Photo canvas prints can be created from almost any style of image. It can be a photo, a scan, a piece of digital art, or even a certificate. It can be created for you in many different sizes. You don’t have to be an artist if you wish for your home to look spectacular. 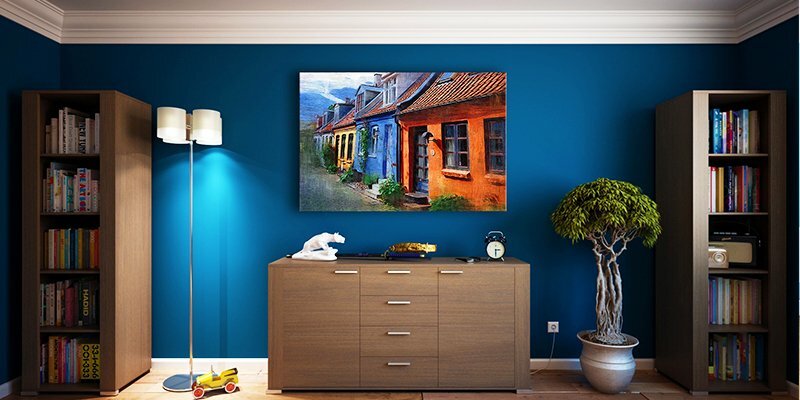 Now, affordable a canvas allows you to feel like a renowned artist in your own home! What can The Canvas Prints Offer Today? 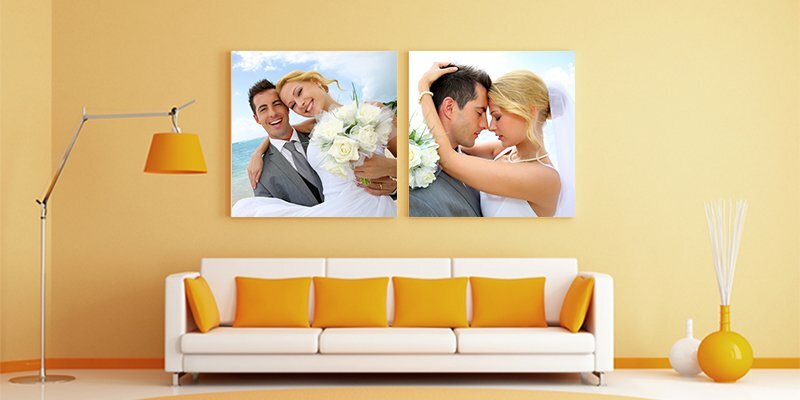 We offer cheap canvas prints in a wide range of sizes and styles. The Canvas Prints offers you wood stretchers in different sizes and a large selection of different edge wrap and designs. We are a click away for you to order your next ready-to-hang piece of wall art. How is a canvas made? Typically canvases are made out of hemp and linen, however now most print canvases are created with cotton. Cotton keeps the price of the canvas very reasonable and allows the artwork to be less prone to breaking and damage. This cotton is woven by use of a plain weave, and artists can select the print canvas based on the how tightly together the strands of the cotton are woven. Would you opt for wall canvases? 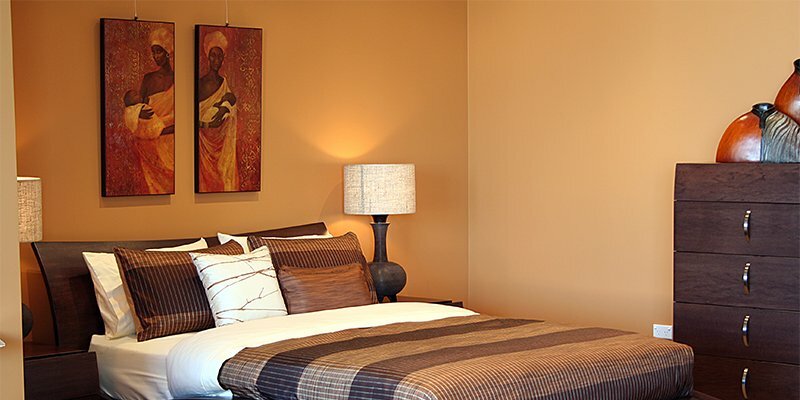 If you wish to incorporate style along with a glam decor, you will choose canvases. They light up your otherwise bare well, making a decor statement that is trendy and classy. 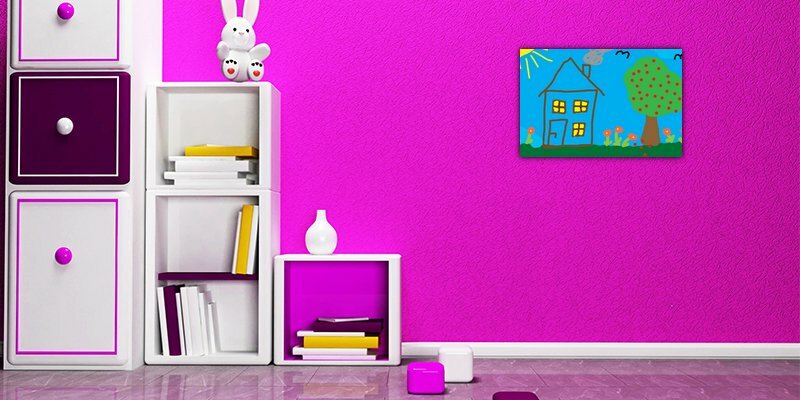 With trending minimalism, most people prefer to decorate their walls and make them look filled up with print canvases and photo canvases to ensure that their homes do not look empty despite the reduction of furniture that has been carried out due to the trending minimal decor trends.